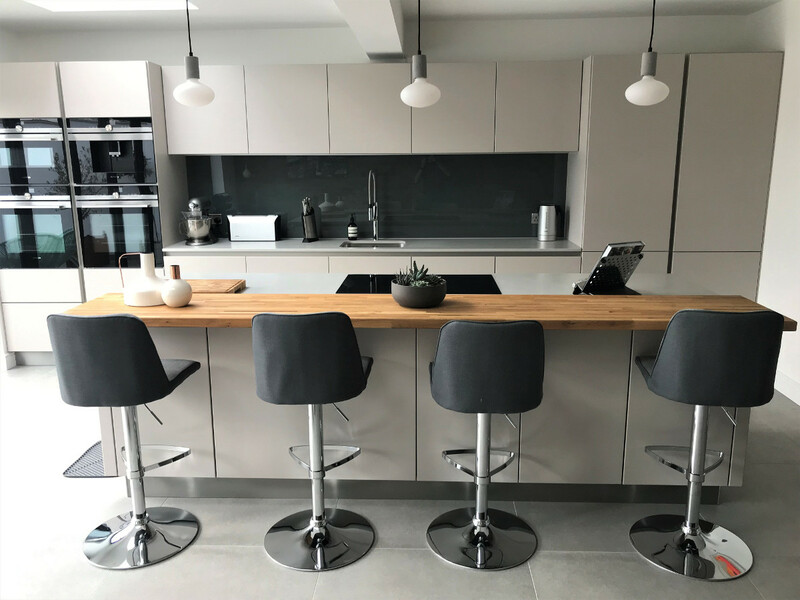 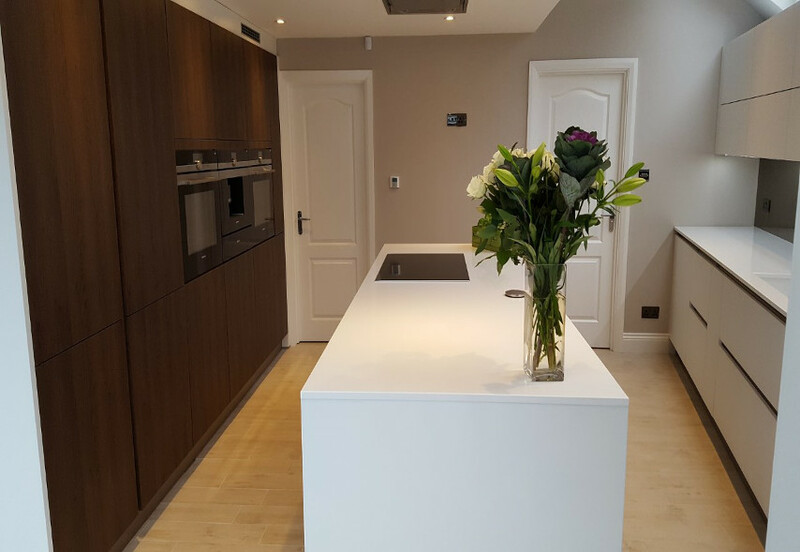 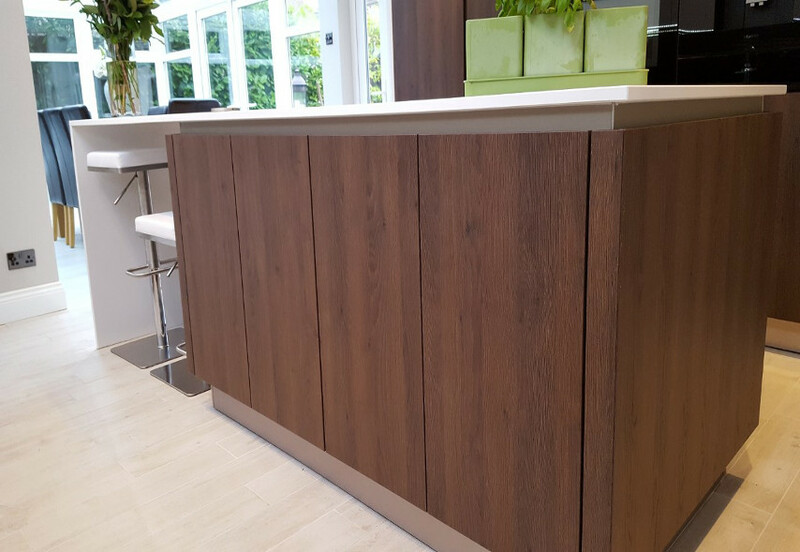 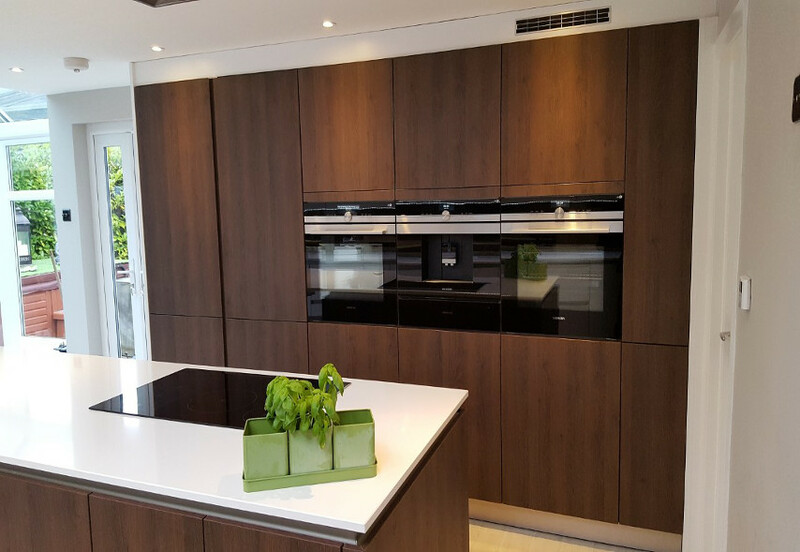 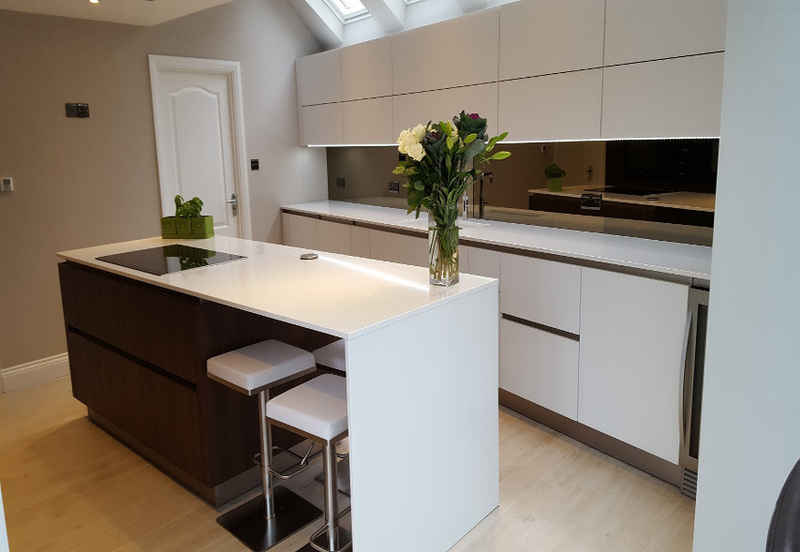 The units and door fronts are all from our C range, the island features Cremona truffle wood, this is combined and contrasted to great effect with Crystal white glass fronted doors in matt finish for all other units. 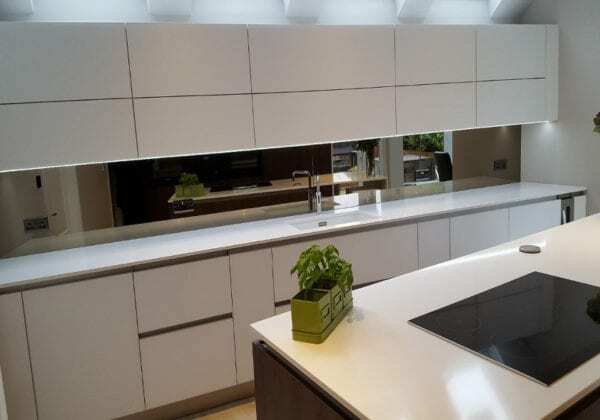 The worktop is Absolute Blanc/white from Compac at 20 mm thickness. 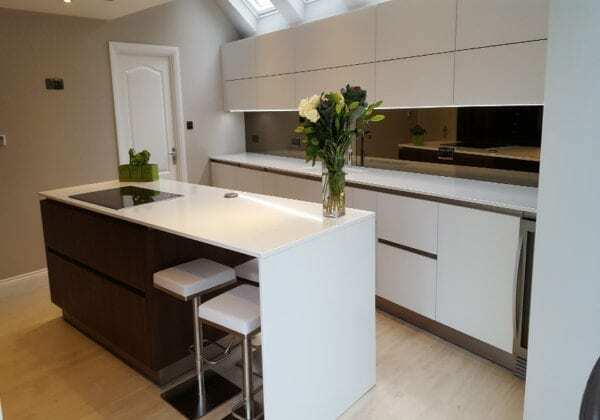 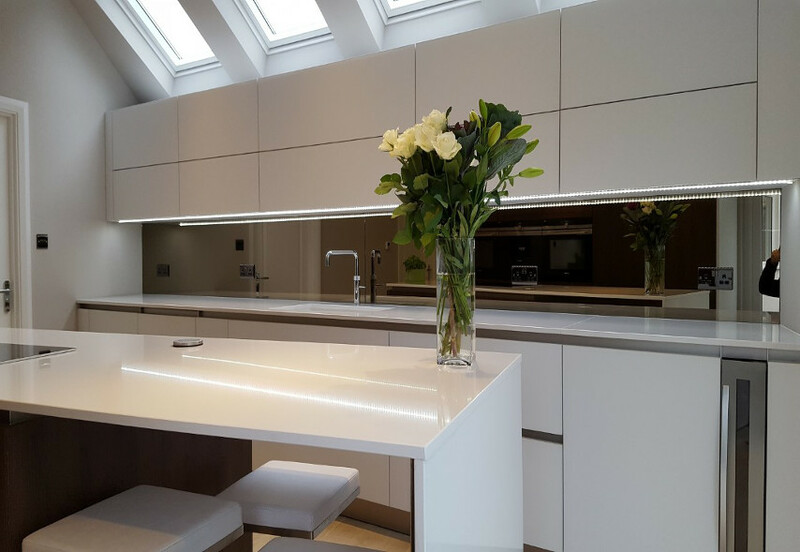 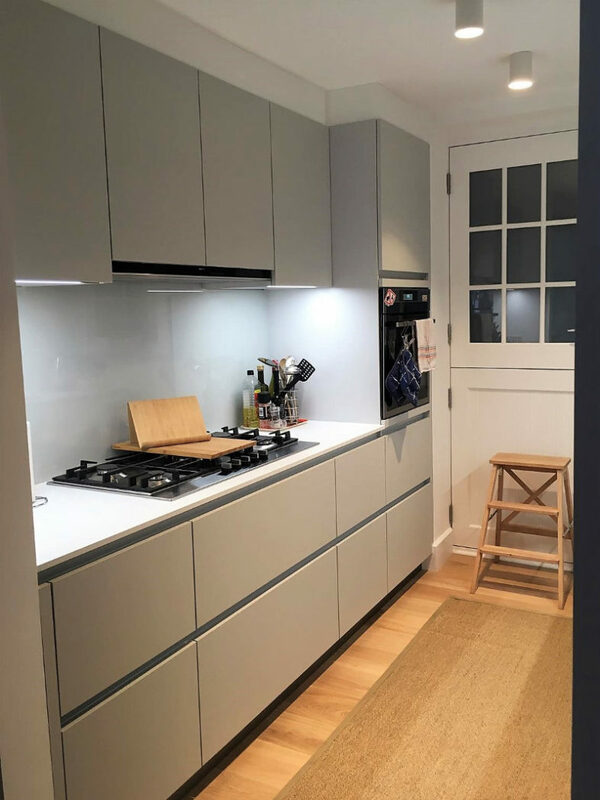 The splashback is 4 mm thick Pilkington mirrored toughened glass.